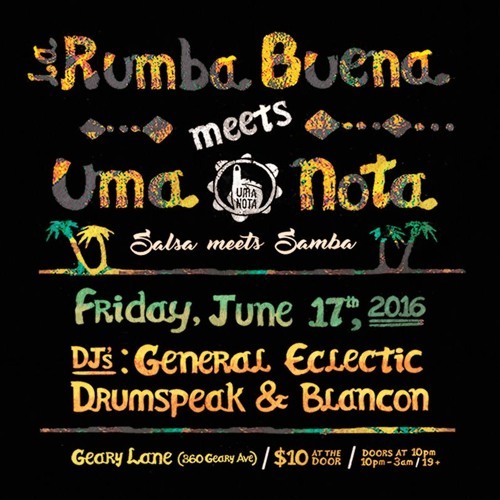 A little preview of the Rumba Buena meets Uma Nota jam on June 17th. An all vinyl Latin and Brazilian mix courtesy of 'Los Tres Encantadores' aka Blancon, Drumspeak, and General Eclectic. More info soon.